Detecting, Treating & Recovering from Stroke: How Telemedicine Can Help! Knowing the early warning signs and getting rapid access to care are essential to reducing the effects of the stroke. In fact, a study in the Journal of the American Medical Association equates a 4 percent improvement for every 15-minutes cut from the treatment of an ischemic stroke — the most common kind. We at Avizia want to do our part to ensure that everyone is aware of the early warning signs of this cerebrovascular disruption, the benefits of using telemedicine in the event of a stroke and the steps every patient should take after receiving treatment. Face Drooping — Can the person smile evenly or is half their smile drooping or numb? Arm Weakness — Does the person have difficulty raising both arms over their head? Is one arm is weak or numb? Speech Difficulty — Can the victim repeat simple phrases without slurring their words? Time to Call 911 — Patients do not have to experience every one of these symptoms to need care. If any of them are occurring, call 911 and get them to a hospital immediately. Strokes may also present through other symptoms, like sudden confusion, numbness or weakness on one side of the body, trouble seeing in one or both eyes, sudden dizziness or loss of balance, and a severe sudden headache with no known cause. Be sure to educate those you know and act quickly before the symptoms escalate. Time Savings — Telestroke is a highly effective tool for minimizing long-term damage from stroke and preventing death. Accessing care quickly in the event of a stroke is critical and with telestroke services specialists are never more than a click away. 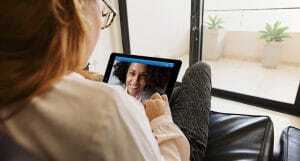 Cost Savings & Improved Quality of Life — According to researchers at Mayo Clinic when comparing a rurally located patient receiving routine stroke care at a community hospital, a patient treated in the context of a telestroke network incurred $1,436 lower costs and gained 0.02 quality-adjusted life-years over a lifetime. Post-Stroke Services — If you or someone you know has suffered a stroke you may need additional care or services that can be difficult to access after an event. 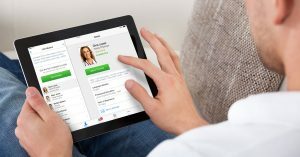 With telemedicine, specialists can perform live video consultations and review patient medical images from any smart phone, tablet or computer with a web browser – meaning patients get the care they need when and where they need it. After a stroke patient has received care, it’s important they feel confident during their recovery. The ASA recommends that patients and their friends and family discuss a few important details with their health care provider to ensure the best possible recovery. Understand What Happened — Discuss with a doctor what your diagnosis was and what caused the stroke. This can help guide future visits and help the patient make lifestyle choices that fit their diagnosis. What’s Next — Could the patient have another stroke? How long should recovery and rehabilitation take? Knowing the possible physical, emotional, behavioral and communication challenges after a stroke are important to gauge the steps of recovery. Living Arrangements — Can the patient live alone? Should they take any safety precautions to prepare their home? Are there any tasks they will need help with? These answers can provide friends and family with the knowledge the need to feel secure with the patient’s path ahead. Medications — Knowing what types of medication and medical supplies a patient needs going forward is critical to ongoing care. They also need information on what their insurance covers and other ways to get help with costs. For a complete stroke patient checklist, visit ASA’s website. Someone in the United States has a stroke every 40 seconds. Knowing the signs and symptoms and providing them with quick access to care is essential to improving their prognosis. At Avizia, we are committed to cutting down time to care, and being armed with the right information is the first step. 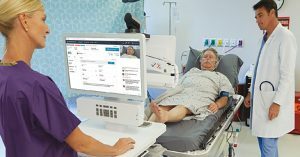 See how Avizia is helping emergency departments access stroke neurologist hundreds of miles away.